Niraj Mathur and Karishma Rohra are two inspiring Toybank volunteers whose work we are very proud to share with you. Niraj and Karishma took complete ownership of our YMCA centre in Bandra, stepping forward with the idea of conducting independent play sessions. 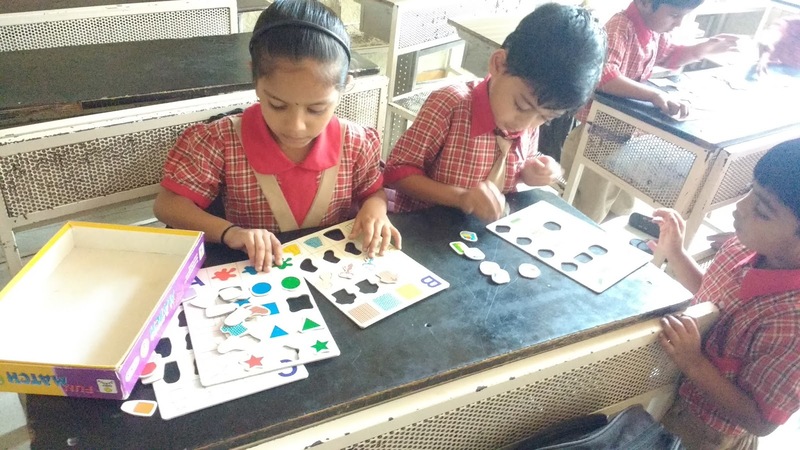 For three whole sessions in December, the both of them engaged with the pre-primary children and conducted activities with them. In addition to this, they actively volunteered at our Andheri and Tardeo centres. They organized play sessions which included activities like role play, various ice-breakers and reciting poems. This was followed by playing the board games where they engaged with all the kids and taught them new games or games which the kids failed to understand. Toybank field officers would assist Niraj and Karishma on the activities to be taken up with the children. 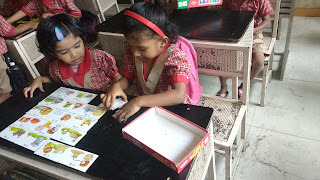 They also learnt how organize the children into groups while playing, along with understanding what games are to be played with them. “Volunteering at Toybank brings us immense joy as playing with children makes one forget all the worries and makes one see the world like a child again, ie, with enthusiasm and with hope! We wish more and more people be a part of Toybank and touch the life of some children in order to make it better”, says Niraj. Toybank is thankful to have amazing volunteers like Niraj and Karishma as it helps us to really deepen our impact on the children and enable us to reach out to more of them.